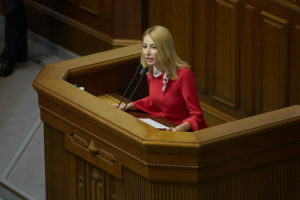 People’s deputies who supported the amendments to the Tax Code have dealt a huge blow to the Ukrainian tourism industry, have let hoteliers, owners of hostels and rural estates down. The thing is that the Ukrainian parliamentarians have decided that the tourist tax, which in all countries of the world is rightly calculated on the basis of the cost of living, will be charged at a fixed minimum wage rate in Ukraine. According to the parliamentarian, these changes can lead to the fact that the majority of accommodations with prices up to 1,500 hryvnias will go in the “shadow”. “Moreover, in Europe, accommodation facilities have a reduced VAT – it is half as big as for other branches of economic activity. Sometimes hotels have a zero VAT. As for our hotels, first there was a not reduced VAT in the price of the room and now hotel owners will also have to include the excessive tourist tax,” concludes the MP.